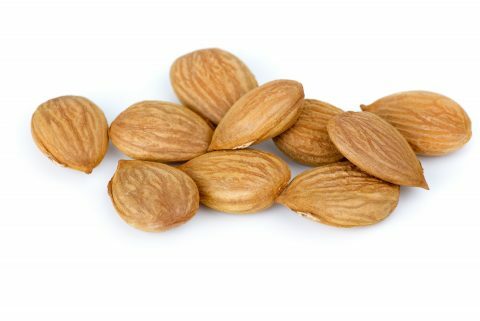 The seed of Apricots, Apricot kernels are a versatile source of ingredient for many industries. Confectionery manufacturers produce a paste by blanching and de-bittering apricot kernels and adding water and sugar. Such paste is then used by bakeries to produce biscuits, by chocolate manufacturers. Apricot kernel essential oil is used by food manufacturers as “flavour” and by health care manufacturers in soaps and beauty care products. There are also some who think Apricot Kernels control cancer. These claims came from Dr Ernst Krebs who in 1952 discovered laetrile, chemically related to amygdaline found in apricot kernels. He later claimed laetrile to be a vitamin (B17) capable of preventing cancer as he said cancer was caused by a deficiency of this vitamin. Whilst this school of thought has quite a big following, The FDA of the U.S has never accepted such claims.